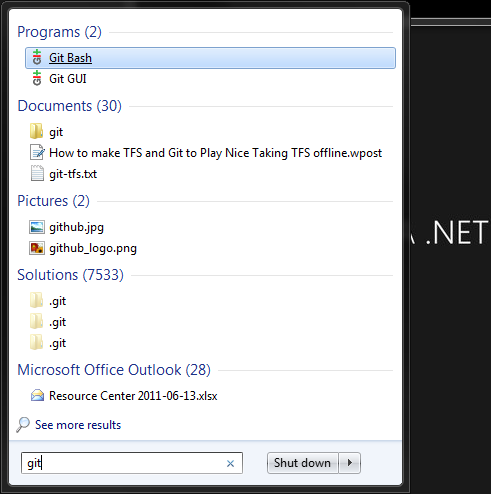 I have been using git (msysgit on windows) a lot lately. 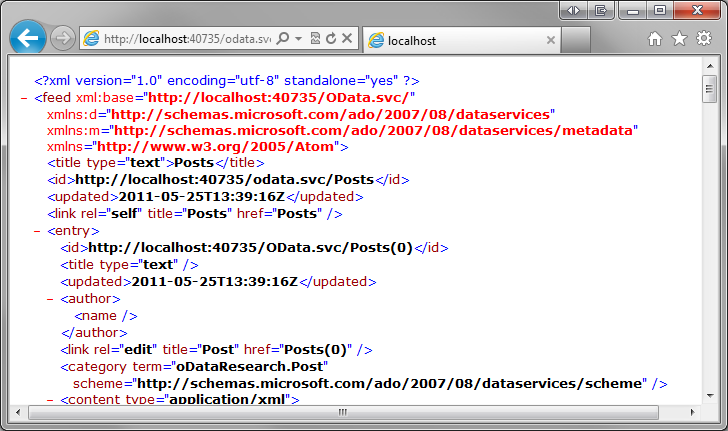 One thing that really bothered me was that I couldn’t find a way to set the home directory. 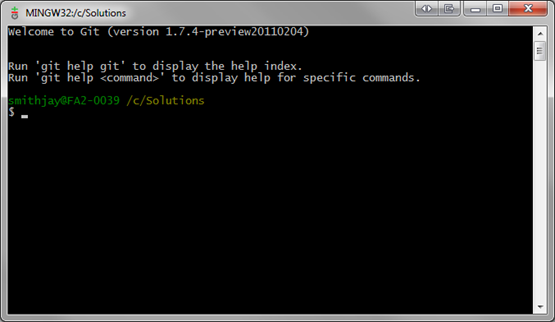 I wanted the Git Bash to open pointed to the directory C:\Solutions, this is where all of my source code resides. I am not sure if there isn’t a way to specify it or I just didn’t find it. I did however come up with a way that I can get it to open to the directory of my choice. 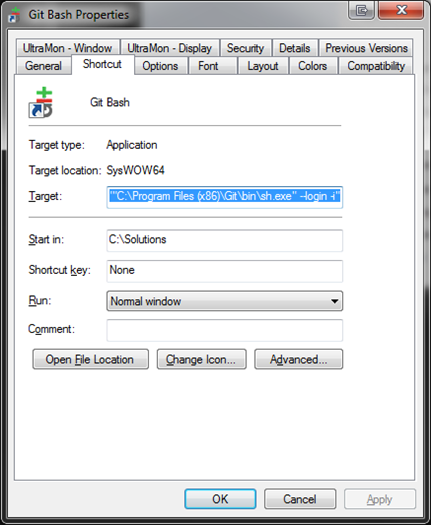 In Windows 7 do a search for git, right click and select properties. Change the value of Start in to point to the directory you want Git Bash to start in. Click OK to close and save the information. Launch Git Bash, here I am using Executor (http://executor.dk). Git Bash will open at the path you specified in the Start in. This did not change the home path, all .gitconfig, .bashrc, etc files are still located at ~. This just caused Git Bash to open pointed to the directory of your choice. 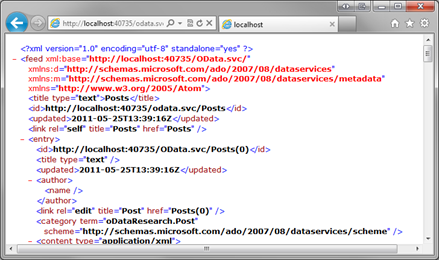 Oh, and another thing, if you re-install or upgrade msysgit you will have to reset the value to point to your directory. The installer overwrites the shortcut. About 2 weeks ago when I go to our internal SQL Server Reporting Services site I started getting a blank screen. I went through the usual, cleared the cache, tried a different browser but nothing would bring it back. I jumped on my remote development desktop and it worked so I know it was my machine. My laptop has been acting flaky lately so I figured it had to be me. 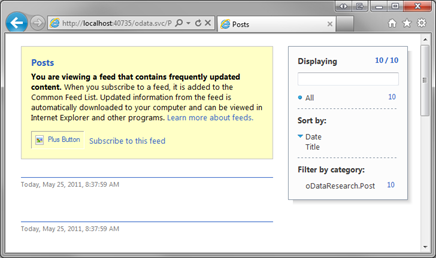 Well today I really got tired of going to the remote desktop every time I wanted to view a report. So I contacted the server administrator and he gave me the fix. 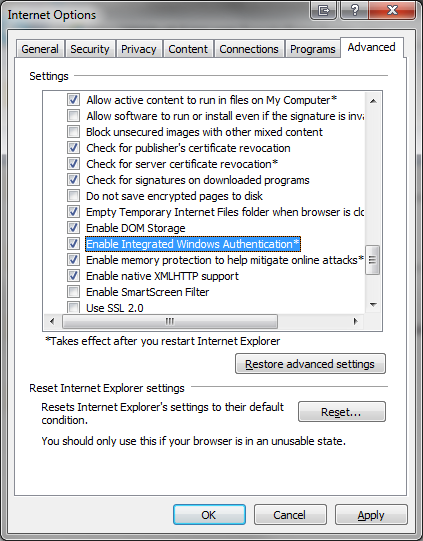 Go to Internet Options->Advanced and make sure Enable Integrated Windows Authentication is turned off. Guess what mine was turned off, I turned it on and restarted IE and BOOM! POW! SQL Server Reporting Services was back baby.